Where Has All the Pumpkin Beer Gone? Search me. After a reading a number of articles on Serious Eats about all the pumpkin beers that are (or were) out and about on the market, I headed to a couple of the local booze shops to buy some. Nothin’ and nada. No luck. I’m serious. No pumpkin beer! Well, maybe a few straggling bottles of stuff I wasn’t really interested in…but, ultimately, my search was fruitless — er, squash-less. Did I miss something? Does pumpkin beer season not extend beyond Halloween? Can I not get beer crammed full of squash for Thanksgiving? What gives? Did Atlanta Beer Week and Halloween combine into the Turducken of Storms (thank you, Al Roker), which then siphoned off all the pumpkin ale? Or perhaps (more probably), agricultural seasonality is clashing with my own selfish desires. Add all ingredients to a mixing glass. Swirl to de-carbondate beer. Dry shake to emulsify, then add ice and shake. Strain into a chilled fizz glass. Garnish with grated nutmeg. 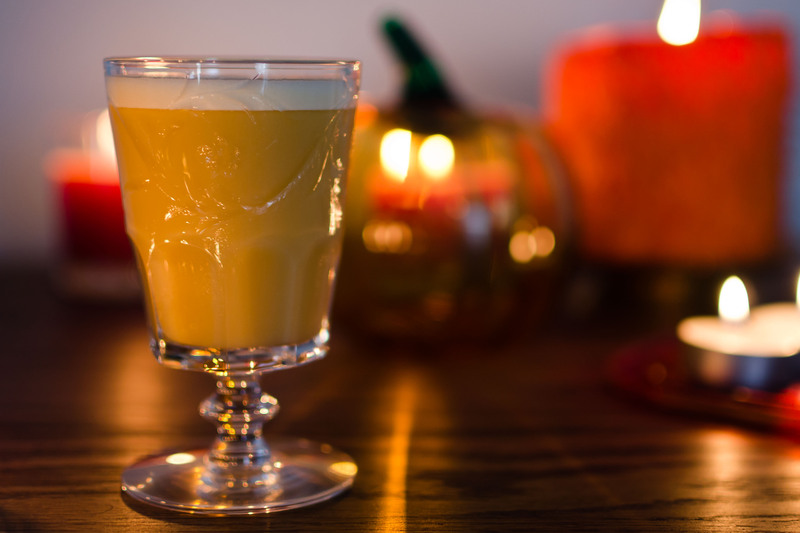 The Great Pumpkin is a wonderfully rich drink and an extremely smooth and filling Flip. The rye and applejack, both being brash, bonded spirits, make their fruity robustness known up-front, but they’re reigned in and buried underneath a distinct taste of cream, maple, and nutmeg. The pumpkin beer is relatively subdued here, providing a kind of caramel-filled middle ground in which the booze and maple are able to mingle. The Great Pumpkin is the embodiment of the late Fall harvest in a glass, perfect for a cloudy, windy afternoon accompanying the cold front that Canada just sent your way. Based on the two pumpkin beers I’ve tasted (Dogfish Head Punkin’ and Southern Tier Pumking), the drink will vary considerably depending on your choice. Punkin’ is fairly light on the pumpkin pie spices (brown sugar, allspice, nutmeg, cinnamon) and on what I call “spice burn,” where strong spices like nutmeg and allspice can overwhelm and shut down your taste buds. 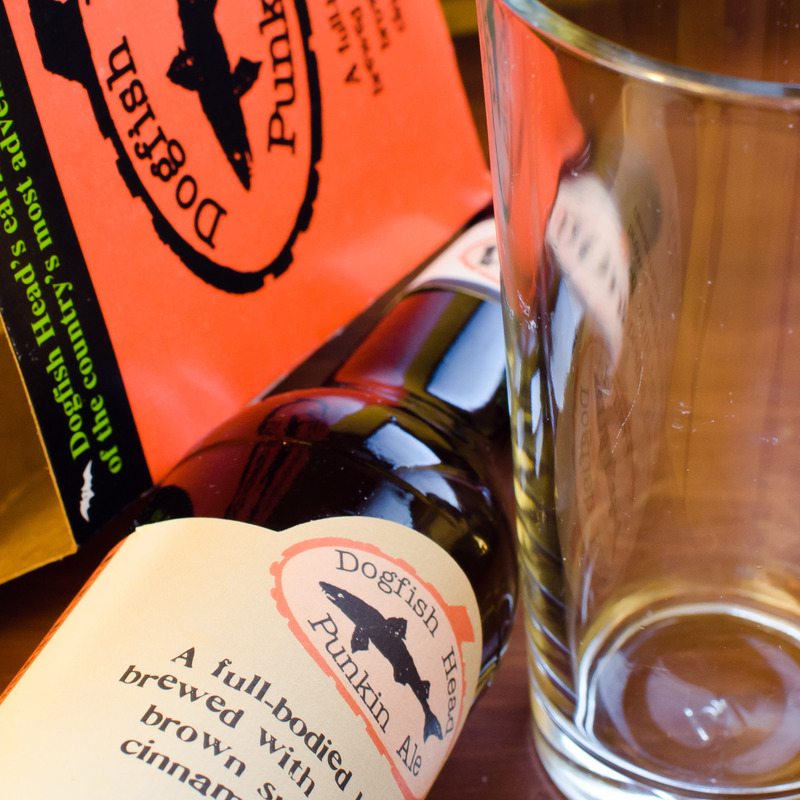 Dogfish also has a definite pumpkin flavor — which I like — in the form of a squashiness hiding in the brown ale. From what I’ve read on Southampton, used by PDT, I figured that Dogfish would be a good substitute, focusing more on accenting the beer with squash and spice rather than cramming pumpkin pie into a bottle. Southern Tier Pumking, on the other hand, is much more generous in the spice department. There’s a little bit of bitterness up front, with a nose that smells distinctly of bread and caramel. The taste is a bit more like Libbey Pumpkin Pureé than actual squash, with quite a bit more spice burn than the Dogfish, but I still like it. I would have loved to try Pumking in the Great Pumpkin, as it would have punched its way through the eggy heaviness and emboldened the drink with spice. So, while you sit in the pumpkin patch with Linus, waiting for His Pumpkiness to arrive, pour some pumpkin ale or mix up a hearty cocktail to keep yourself warm…provided you can find the beer, of course. Photos by IJL. 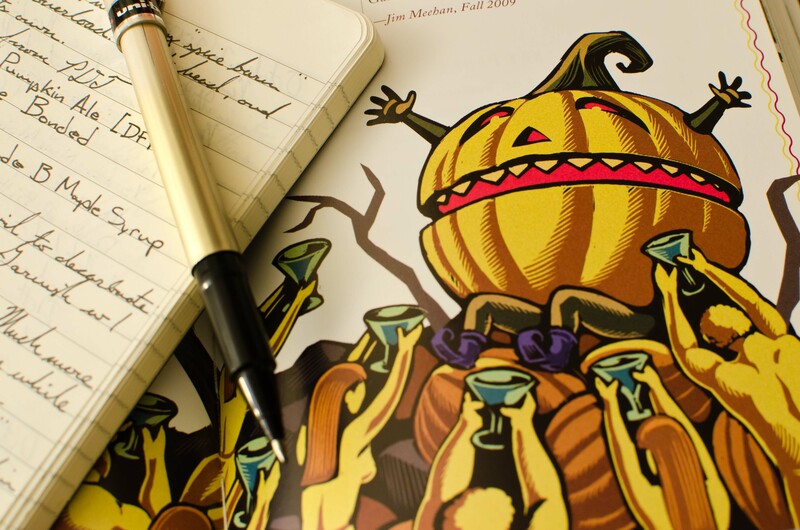 Great Pumpkin illustration by Chris Gall, The PDT Cocktail Book. This entry was posted on October 29, 2012 by IJ Lauer in Apple Brandy, Beer, Beer Cocktails, Drink Recipe, Eggs, Maple Syrup, Rye and tagged apple brandy, autumn, cocktail, egg drink, fall, great pumpkin, jim meehan, pdt, pumpkin beer, rye whiskey.